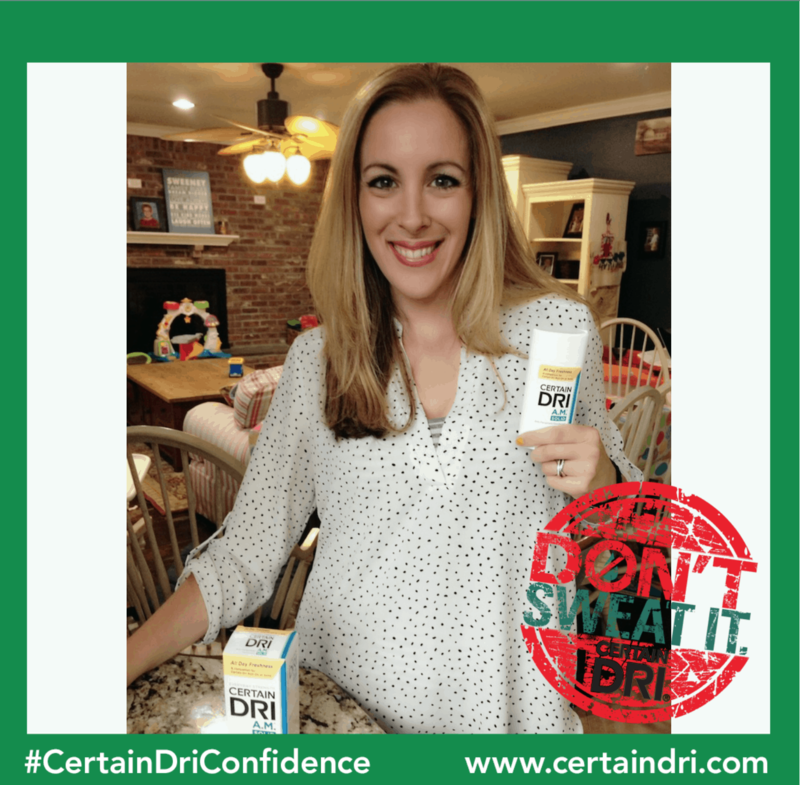 Certain Dri has helped me stop sweating through all my favorite clothes. If you love fashion as much as I do, then I think you can appreciate that statement. The last thing a woman wants is wet armpits when they are trying to look fashionable. I’m just being honest here! It’s all about a boost of confidence… in a fashion sense. Prior to introducing this product to my weekly routine, I would spot a great fashion find or put together a new ensemble… and then ponder about whether or not I can pull it off. Not because I’m second guessing my STYLE. It was always because I was second-guessing the fabric and how it would respond to my body and my sweat glands. Listen, ladies… I sweat a lot and I had to make sure the fabrics could handle my issue. I’m not going to sugarcoat this. Deodorant matters to me. Juggling life with family and work, I am someone that works up quite a sweat, literally. Yeah, there’s deodorant to cover up odor for the most part, but I’ve never really found one that could actually free me of sweat marks, or one strong enough to keep me covered all day long. Pit stains on a light blue cotton top = not hot. 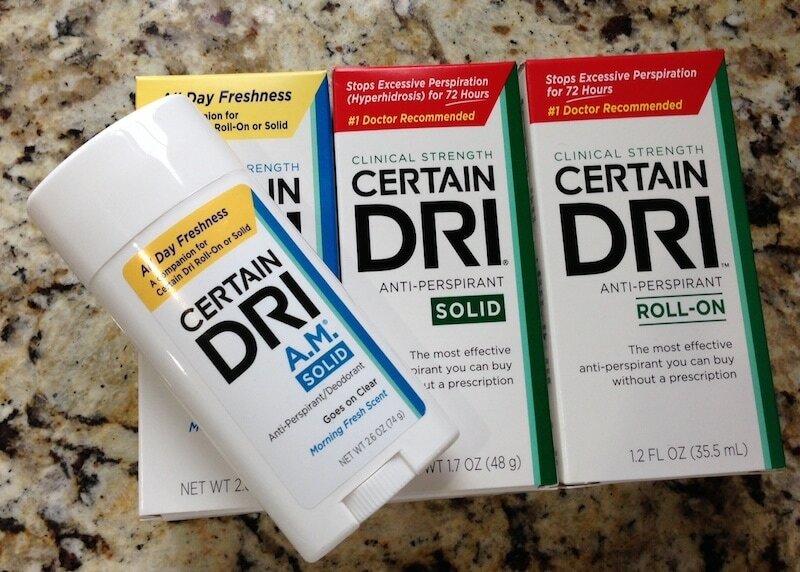 I was recently invited to experience Certain Dri Protection System, which included the Certain Dri Clinical Strength Anti-Perspirant Roll-On, Certain Dri Clinical Strength Anti-Perspirant Solid, and Everyday Strength Certain Dri AM. Not wanting to continue my everyday activities worrying about whether or not I’m covered, and stiffly holding my arms at my sides as result, I put it to the test. The timing was perfect, as my daughter’s first school play was coming up, and I was so nervous, I was afraid I’d be sweating all week through rehearsals. I noticed from the first day that I had a boost of freshness. By the second day, I wasn’t feeling as paranoid as usual about embarrassing sweat marks, and the rest of the week, it wasn’t even on my mind at all. The show went on perfectly, and I didn’t have to think twice when picking out to wear to it. I never really gave it much thought about why deodorants never seemed to get a hold of sweat- maybe I just thought that wasn’t really in their job description. I was amazed that the product was able to keep me fresh and dry all day long. What I learned was that Clinical Strength Anti-Perspirant is the #1 doctor recommended antiperspirant for excessive perspiration, and is the most effective of its kind that you can buy without a prescription. I applied the Roll-On a few nights a week, and found it to be particularly gentle on my skin, and easily incorporated into my evening routine. For my daytime routine, I’ve been using Everyday Strength Certain Dri AM with a “Morning Fresh” scent for added freshness and all day sweat protection. 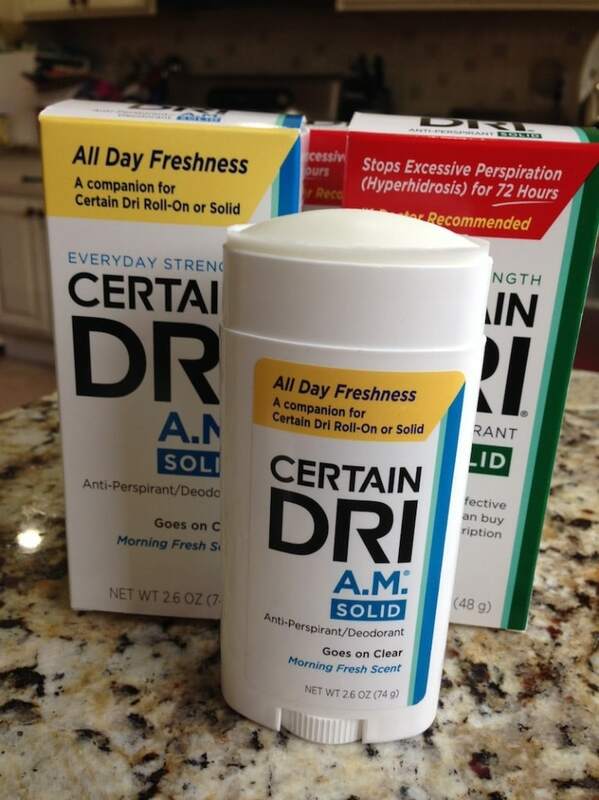 Perfect for moms on-the-go, Certain Dri is available in mass market retailers nationwide including Walmart, Rite Aid, CVS, Target, Duane Reade, as well online retailers and at www.certaindri.com. So, what outfit would you wear if you were feeling completely free from worry over sweat marks and odor?